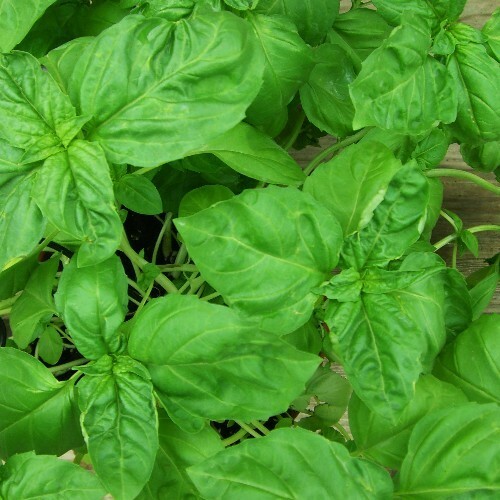 Fresh herbs are easy to grow and a delight to eat and work with. 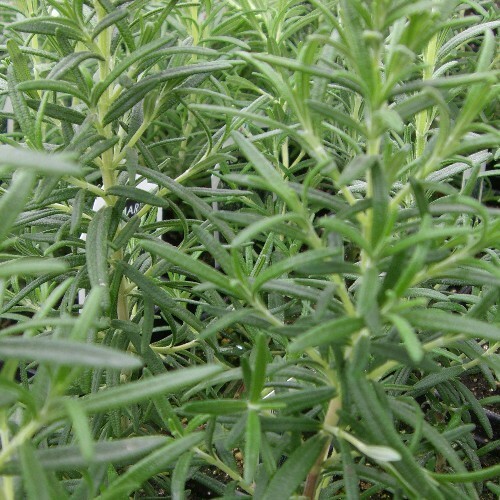 We strive to carry a wide range of common, popular herbs as well as the more unusual varieties. 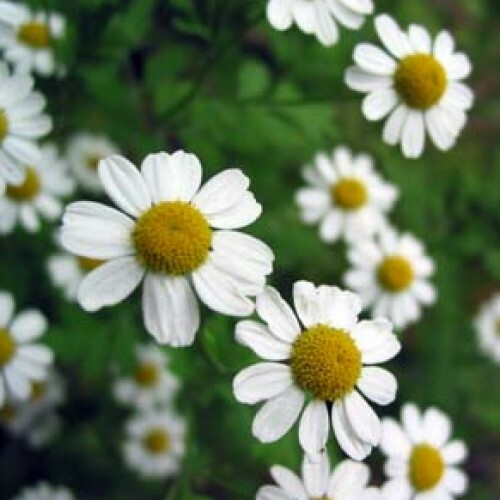 Our largest selection is available from April through summer; common herbs are available on a limited basis year round. Stop in or call for full selection. Visit our Resources page for hints and tips on growing and using herbs; visit our blog, Ideas & Events and search the archives for more recipes! Lavender/purple blooms from mid to late summer. Flowers are attractive to bees (good nectar plant), hummingbirds and butterflies. 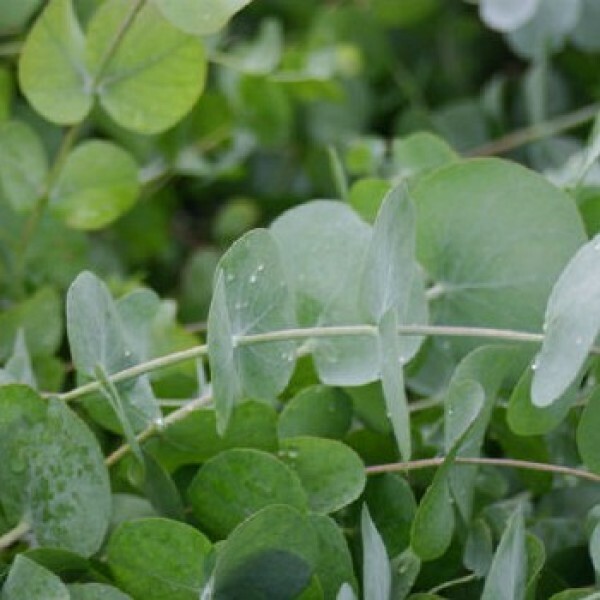 Aromatic leaves can be used to make herbal teas or jellies. Seeds can be added to cookies or muffins. Dried leaves can be added to potpourris. 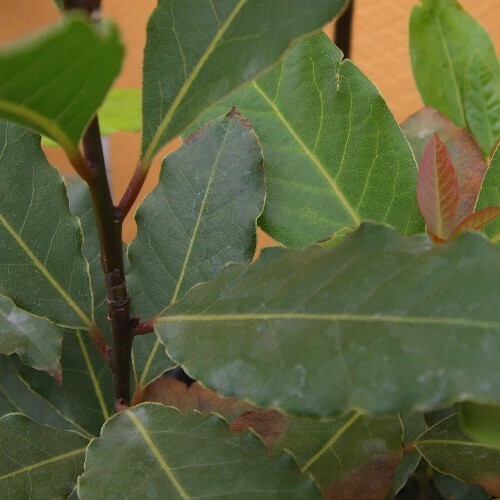 Fresh bay leaves have a much more subtle flavor and are delicious with poultry, pork, and lamb. Try Potatoes Braised with Fresh Bay Leaves. 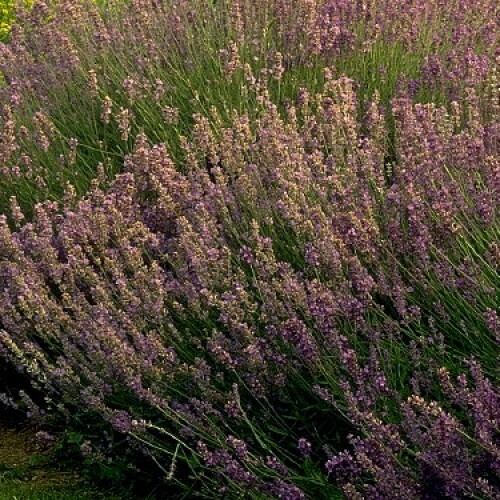 Clusters of lavender, pink or white flowers, looking like ragged pompoms, bloom atop 2-5 ft., open-branched stems. 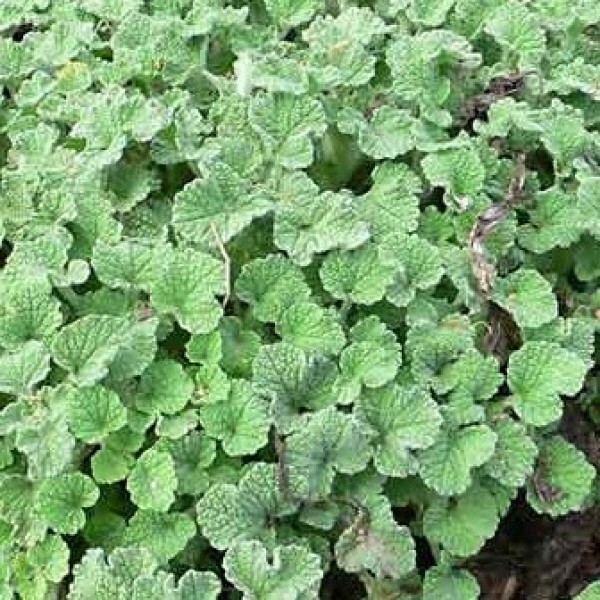 This has aromatic leaves used to make mint tea. 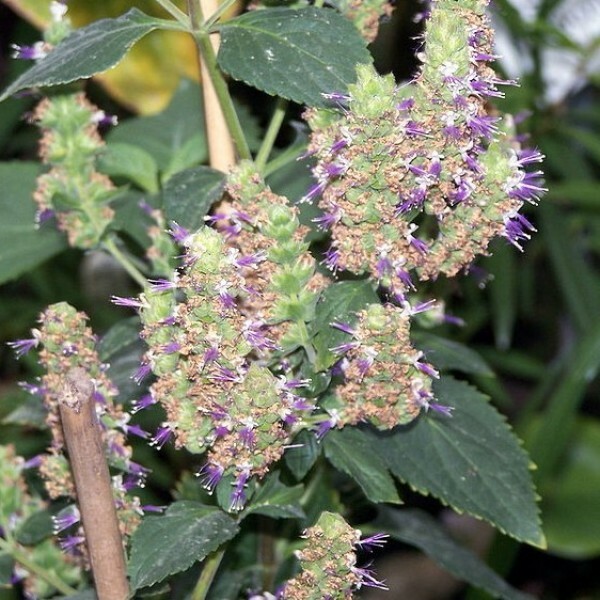 Oil from the leaves was formerly used to treat respiratory ailments. The leaves smell minty. Tasting mildly of cucumber, the leaves can be added to salads and tea blends. The flowers are edible as well, and when sugared make a pretty cake decoration. It is said to be an excellent tonic for a stressful life! 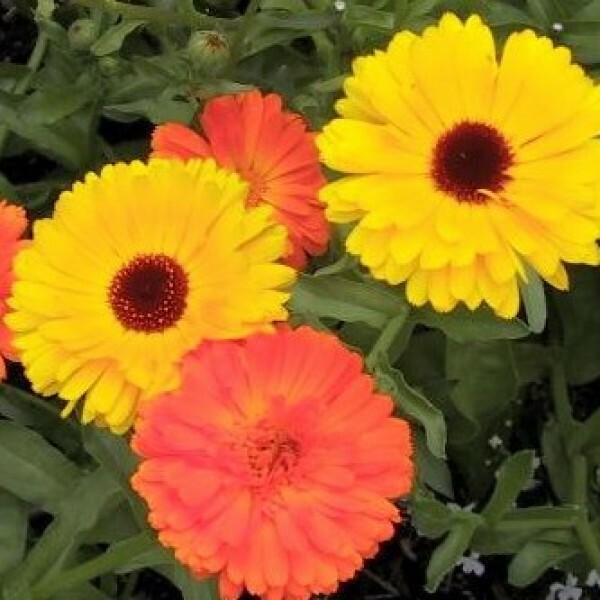 Also known as Pot Marigold, the flowers are colorful and tasty in soups and salads. Floewrs can be dried as well. Attracts birds and butterflies. 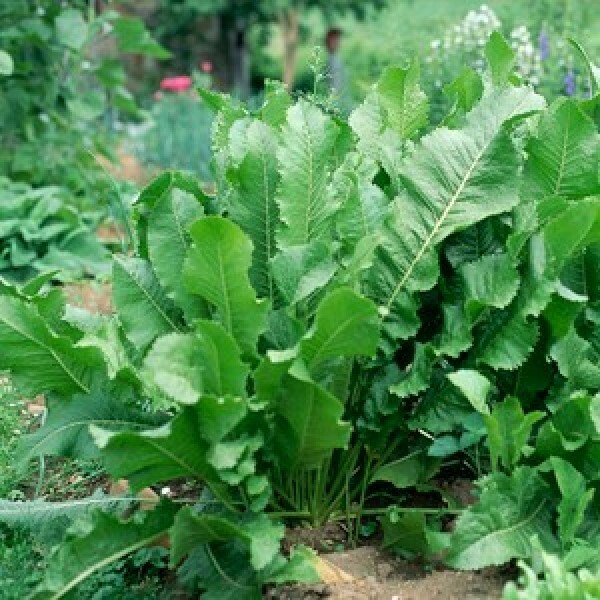 Tender young leaves can flavor soups and salads; the fruit (seeds) are used in rich dishes, with cabbage preparations, and in breads and baked goods. Lovely white flowers, use dried flowers in teas and potpourri. 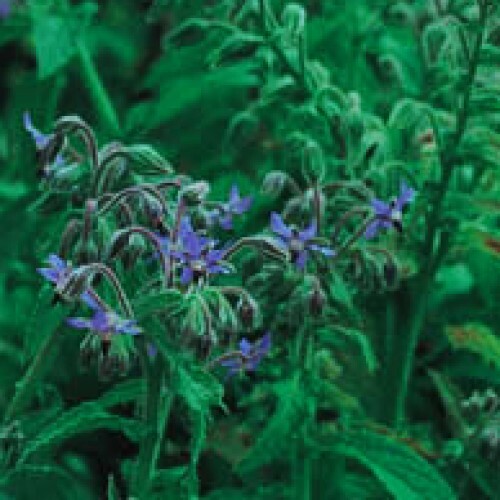 Mild apple aroma from leaves and flowers, low-growing, tolerates light foot traffic. 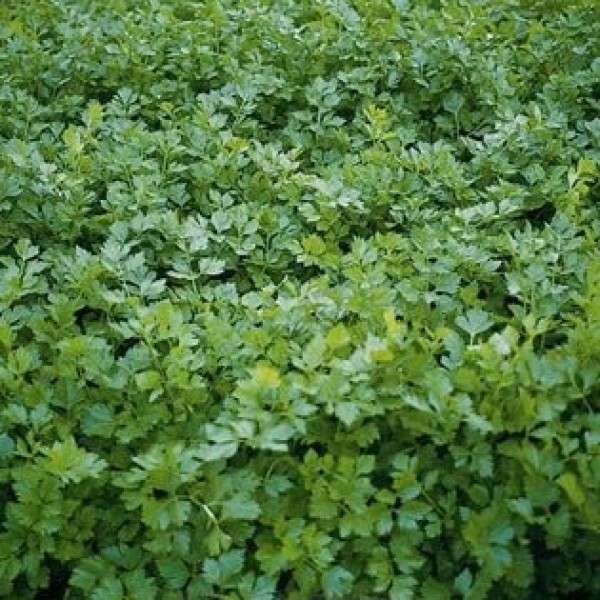 An essential French herb, it is best used fresh at the end of cooking or as a garnish. Perfect with chicken, eggs, salad, vegetables, potatoes. Try it in Potato Salad with Chervil and Shallots. You are most likely familiar with the delicate, onion-y flavor of chives as a garnish for vegetables, salads, soups, and potatoes. The flowers are edible, too, and look great on a salad. Try them in Garlic Herb Butter for bread, fish, chicken, vegetables. 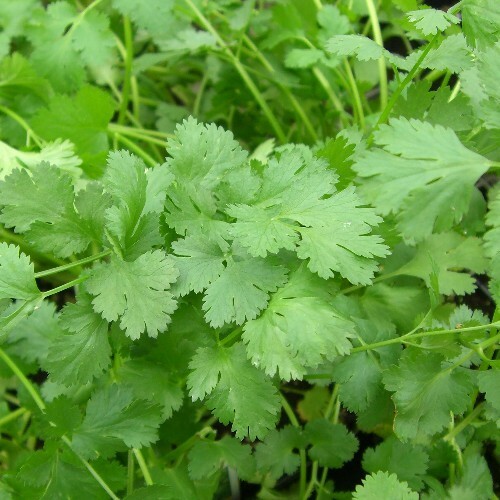 Cilantro is an essential flavor in Mexican and Thai cooking. It has an unmistakeable flavor; to some people, however, the only flavor they detect is soap! To make it more palatable to sensitive ones, be sure to remove all stems before chopping. Try it in Cilantro Pesto, delicious on roast or grilled fish, tacos, and more. 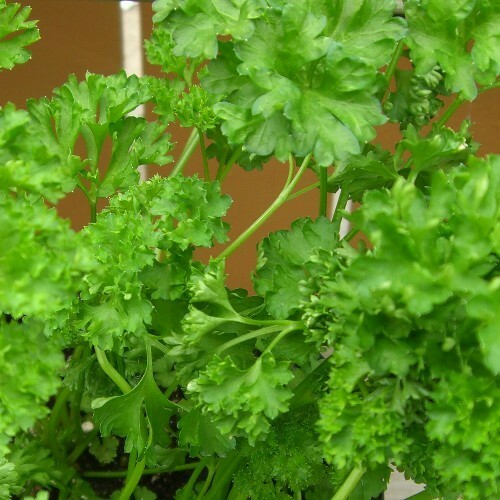 The delicious flavor of celery from the foliage of this plant flavors soups, broths and salads without the crunchy stringy stems that many don't like. 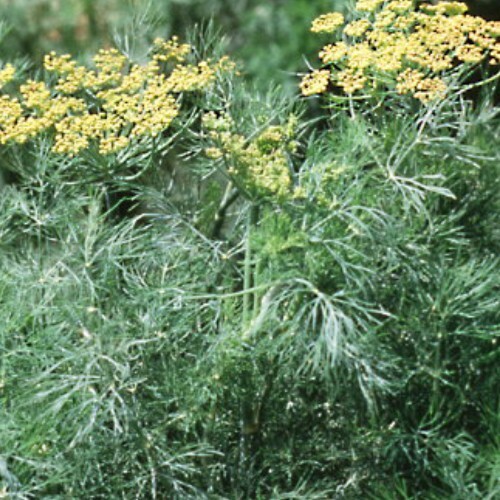 Dill is a fast-growing perennial that adds a feathery large presence to the herb garden. For a continuous supply of the leaves, remove flowers before they open; for the seeds, allow the flowers to bloom and ripen. Try it in Easy Refrigerator Dill Pickles. No canning! 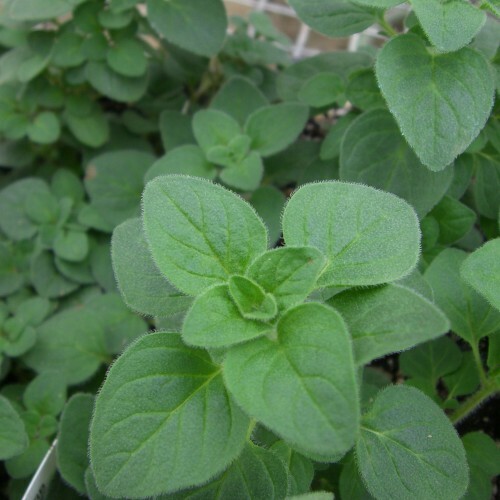 Strongly flavored leaves remind many of citrus or mint. Used widely in Mexican cooking, it is an excellent addition to bean dishes (and is said to reduce the "after effects"). Grown for its fragrance and unique style. Pretty in combination planters, or dried for use in arrangements and potpourri. 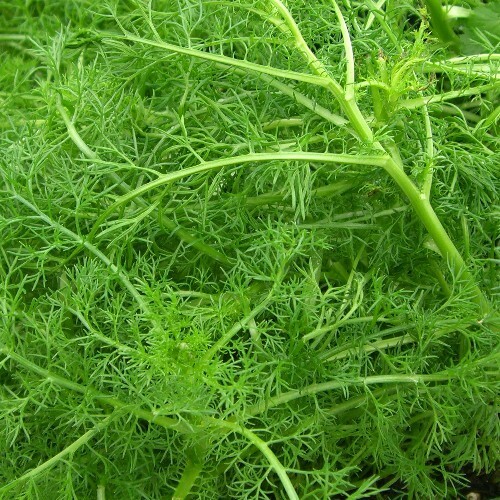 Never plant fennel with coriander or dill. Fennel has a light licorice/anise flavor good with pork, veal, fish, sauces, stuffings, and salad dressings. 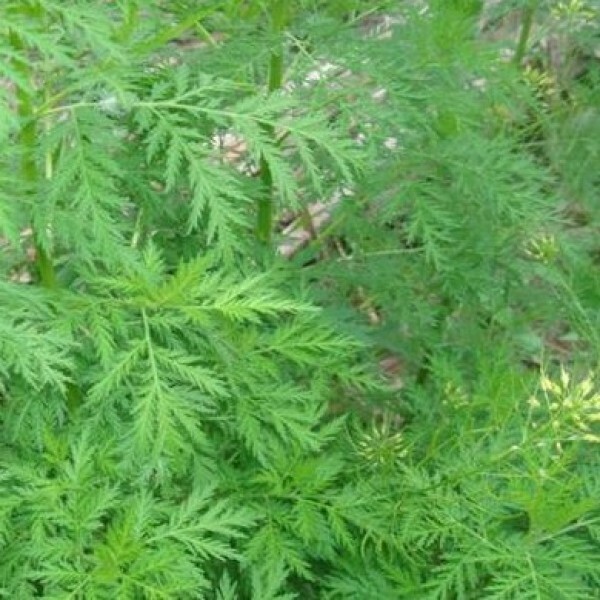 The seeds are used as a spice, particularly in breads. The stalk/bulb is delicious when shaved in salads or braised until tender. Try it in Steamed Mussels with Tomato Fennel Broth. Black licorice flavored leaves are used in candies, baked goods, and medicinal throat lozenges. The bright flavor of fresh horseradish is a wonderful difference from the bottled versions. Easy to grow! 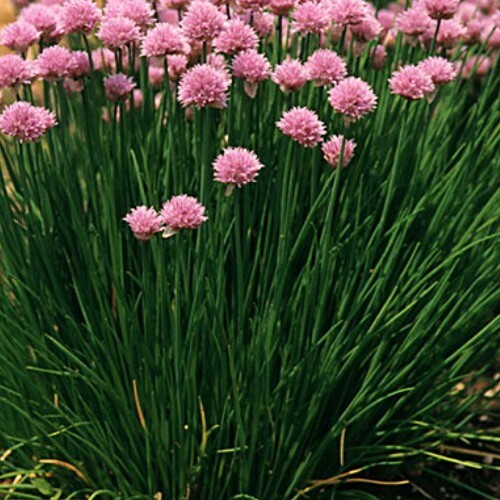 A beautiful herb grown mostly for its flowers, use it in potpourri, soaps, oils, and dried arrangements. It's delicate scent and flavor is also delicious is desserts, cookies, sorbets and jelly. 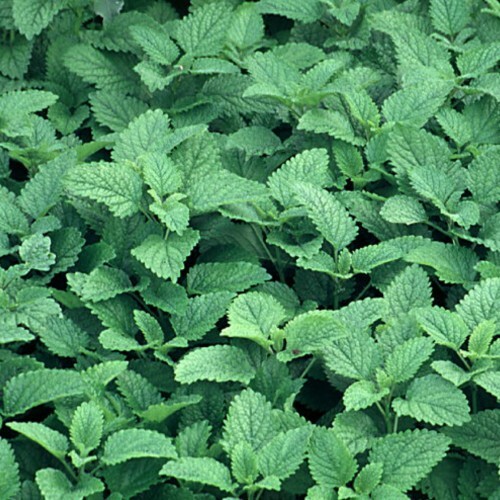 Light lemon-mint leaves are best used fresh in tea, salads, fruit, punch, etc. Attracts honey bees. 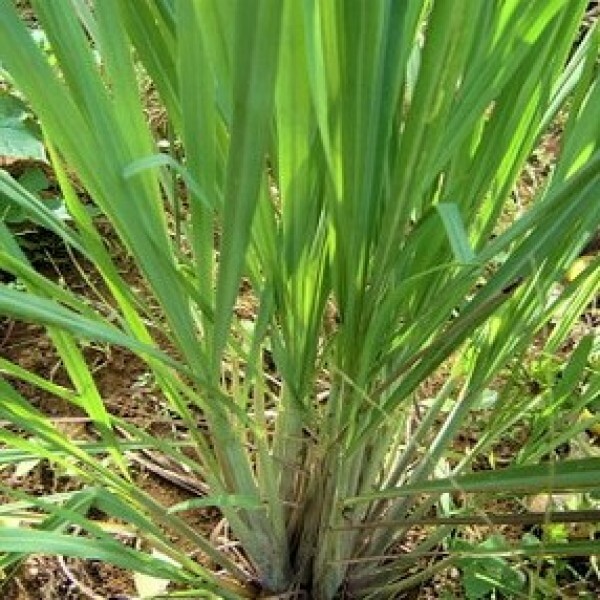 Lemongrass has a subtle citrus flavor and can be dried, powdered, or used fresh. 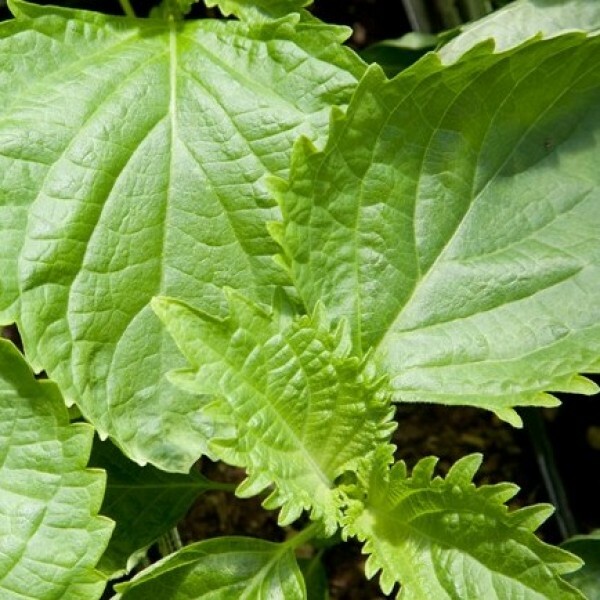 A staple in Asian and Thai cooking, the leaves are great in curries and soups, as well as flavoring poultry, vegetables, and fish. 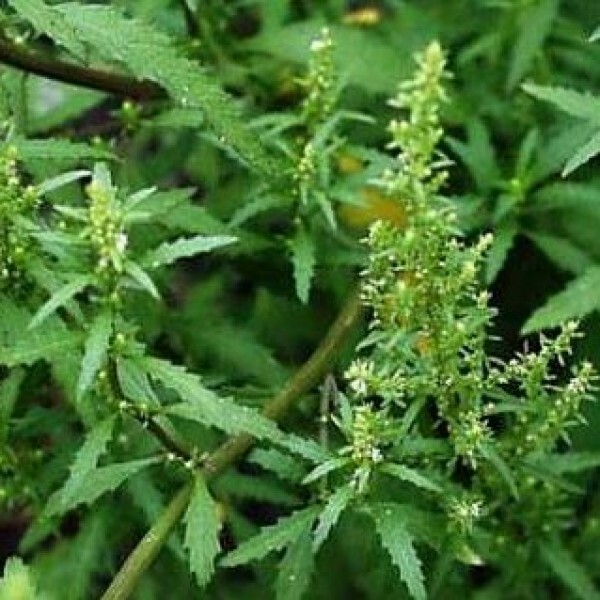 It has some mosquito repelling qualities as a patio plant as well. 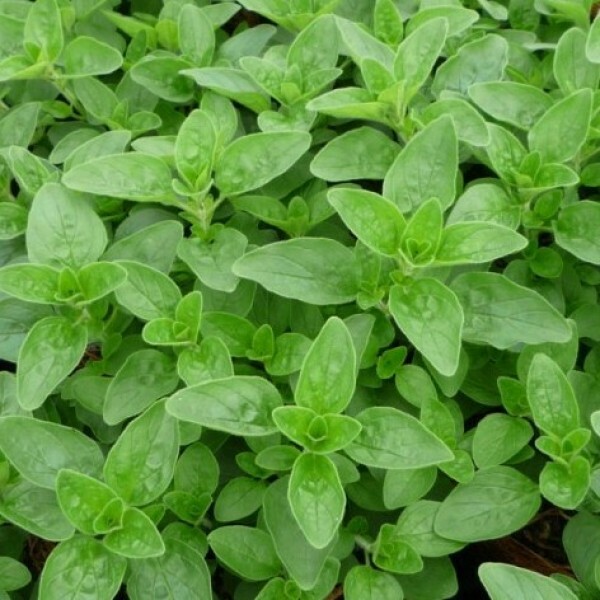 A relative of oregano, it shares a similar flavor although not as sharp and with hints of thyme and florals. Varieties (available at different times): Pennyroyal, Chocolate, Spearmint, Peppermint, Candy, Mojito, Banana, Corsican, Ginger, and Lime. 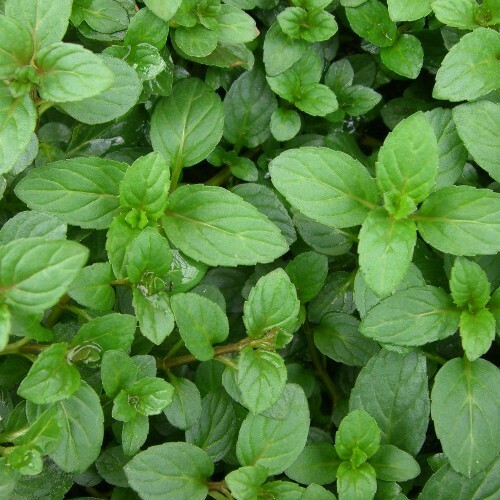 Besides the popular peppermint and spearmint, there are all kinds of fun flavors to explore. 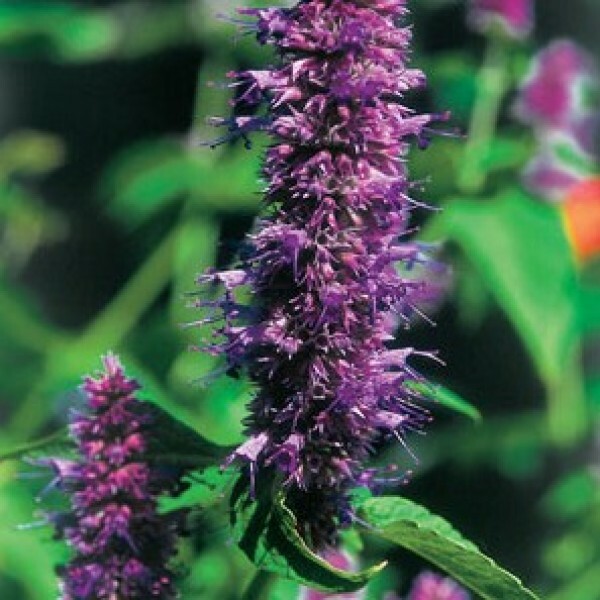 Mint will spread out and make itself at home, so contain the roots in some way to keep it under control. 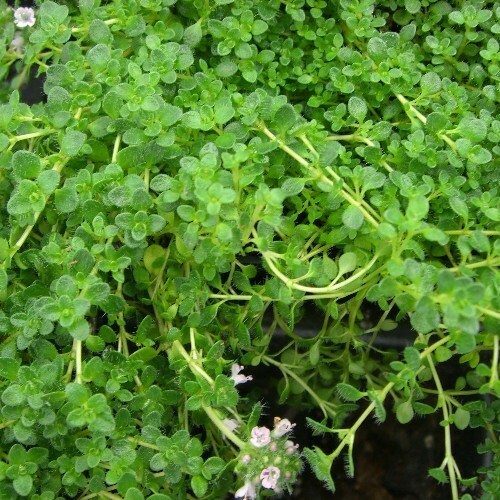 With it's robust flavor, oregano is a natural in Greek and Italian cooking. It is an excellent choice for tossing in the grill for added aroma and flavor. 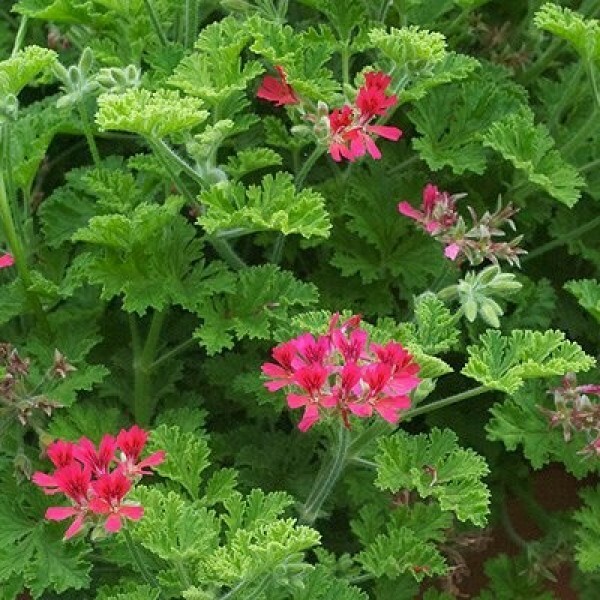 It makes a great addition to your mixed flower plantings, draping over the sides. Try it in delicious Greek Lamb Burgers. Parsley is so much more than the ubiquitous garnish. While it does add a sprinkle of color to any dish without disrupting the flavor, it does have a taste all it's own. Chop some up in a salad mix for a really fresh, green flavor. 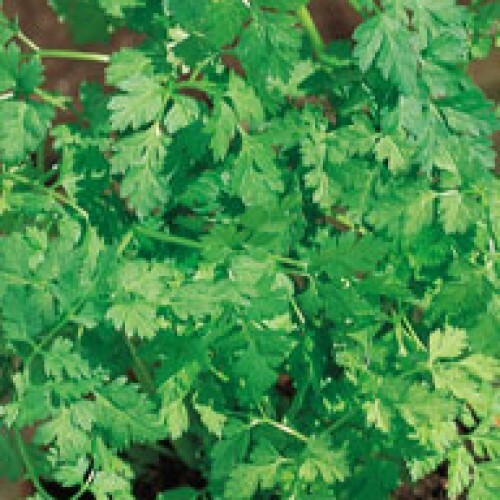 Parsley grows really well in containers. 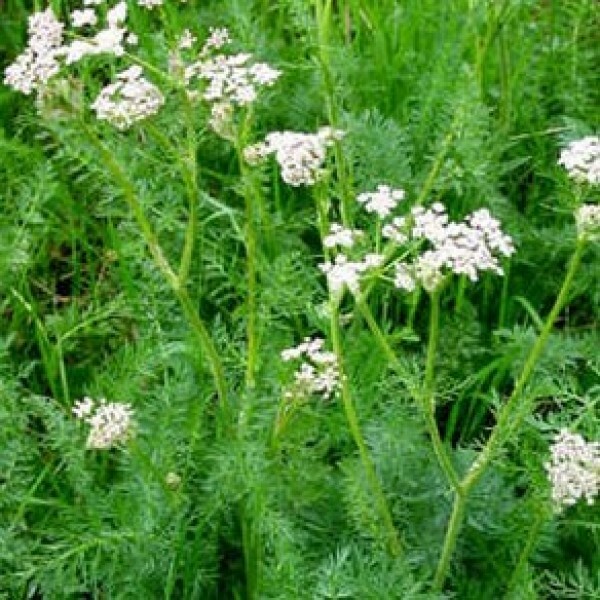 This herbs distinctive, strong fragrance is used in soaps and perfumes. 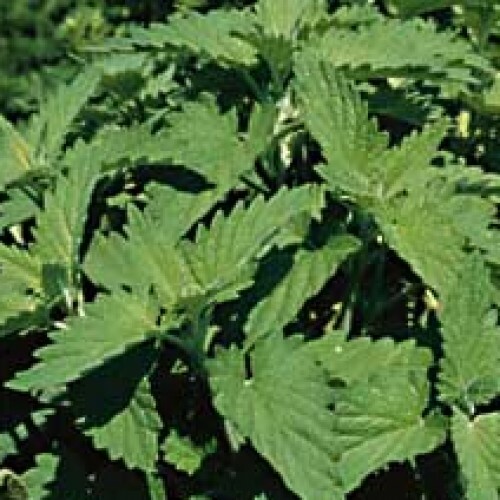 Used widely in Japanese cooking, red shiso has an anise flavor, while green is spicier, like cinnamon. They are used for seasoning, coloring, pickling, and garnishing. Seeds are sprinkled on salads and rice, leaves often used in sushi and sashimi. Very nutritious! The needle-like leaves perfume the air with a pine scent at the slightest touch. The leaves are delicious with roasted meats, grilled steaks and chicken, and potatoes. Try using the woody stem with leaves left at the end to skewer shrimp or vegetables for grilling. Try it in Rosemary Foccacia Bread. It's not just for Thanksgiving! 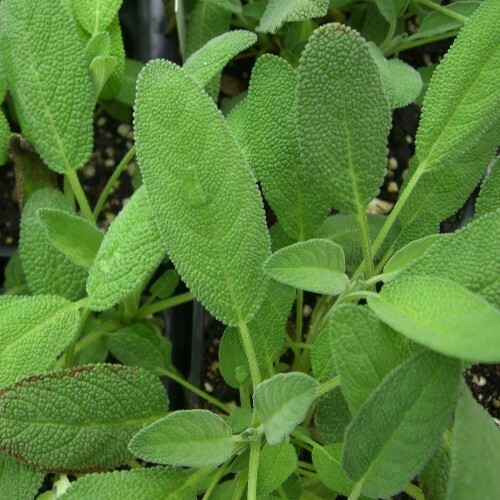 Sage has a strong, savory, distinctive taste that intensifies when dried. 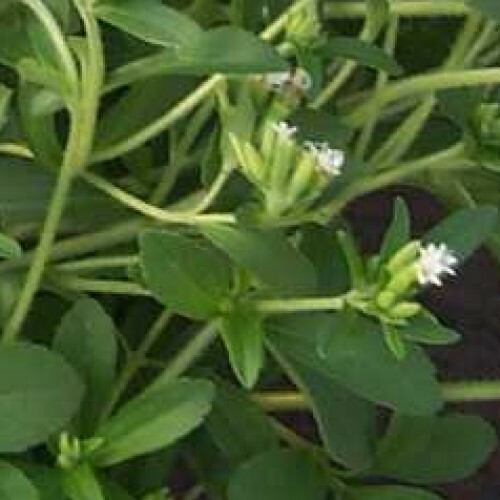 Often used in stuffings, with pork, and chicken, it is surprisingly good with sauteed salmon as well. Try making easy Fresh Sage Sausage. Mild flavor reminding you of sage and rosemary blends well with soups, sauces, poultry, butters, and vegetables. 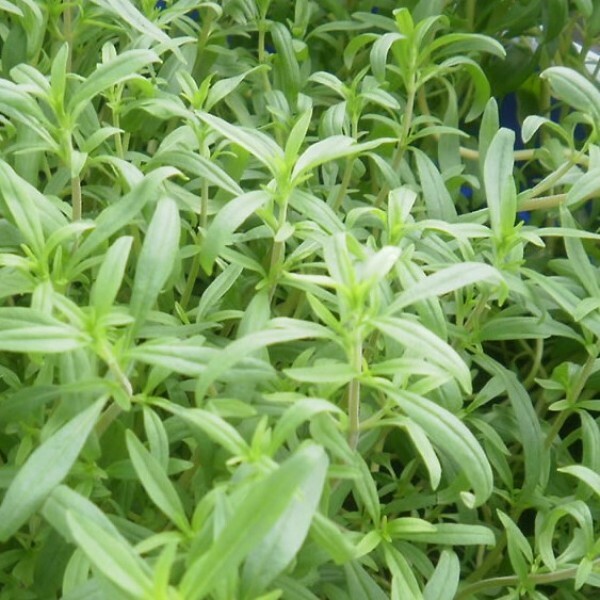 Winter Savory has a more peppery bite to it. 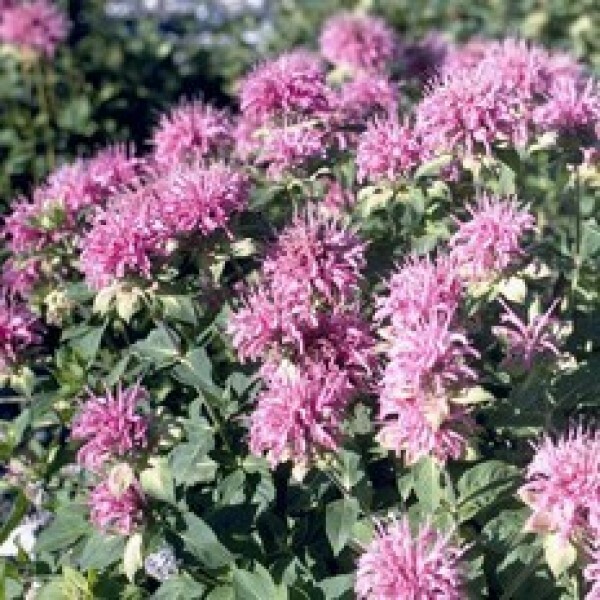 Varieties: Concolor Lace, Lemon Rober, Old Fashion Rose, CitriodorumThese lacey, highly textured leaves have a wonderful fragrance, and the blooms are attractive to hummingbirds and butterflies. Dried powdered leaves are 300 times sweeter than sugar with no calories! Pinch frequently for best production. 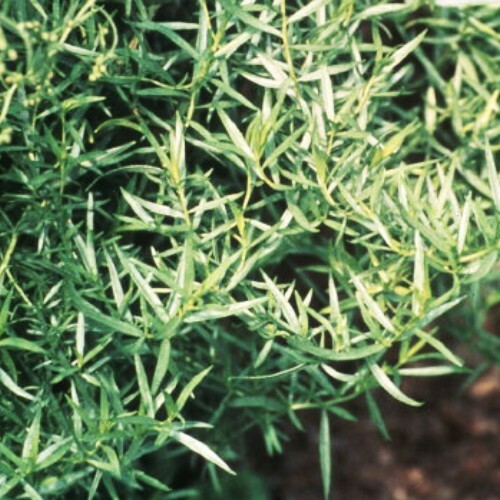 The fruity, sweet scent of the foliage makes it perfect filler for fresh flower arrangements and potpourri. A clsssic French flavor, the delicate anise taste is behind Bernaise sauce for steak and fish, and white wine sauce for chicken. Try it in Green Goddess Dressing. Varieties: English, French, Clear Gold, Golden Lemon, Lemon Creeping, Elfin, Coconut, White Creeping, Lemon, Lime, and Spicy Orange. Great with poultry, beef, mushrooms and vegetables Over 300 varieties & flavors in the world. Crushed leaves may ease bee stings. Try easy Gruyere-Thyme Icebox Crackers.